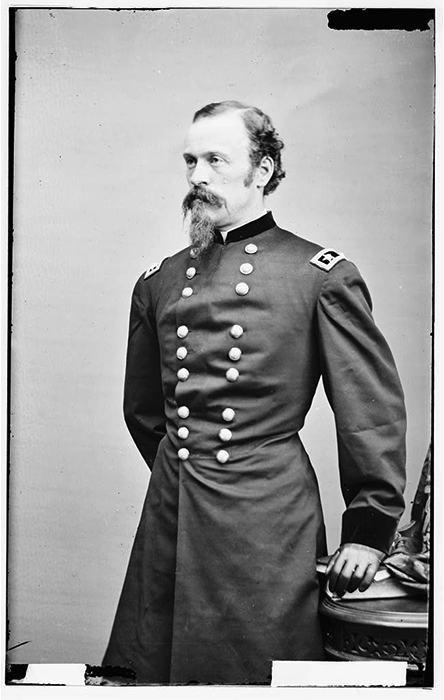 James H. Wilson (1837-1925) was a Union general during the Civil War. Originally a topographical engineer, Wilson joined the cavalry in 1864, and in March 1865 was sent with more than 13,000 horsemen, known as Wilson's Raiders, through Georgia and Alabama to disrupt production centers. His cavalrymen captured Confederate president Jefferson Davis in May 1865.